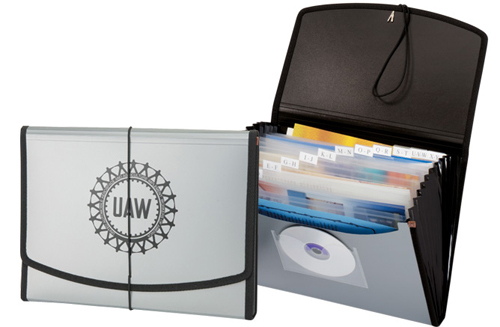 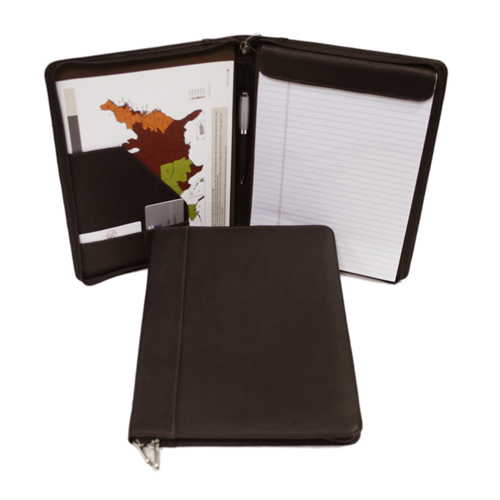 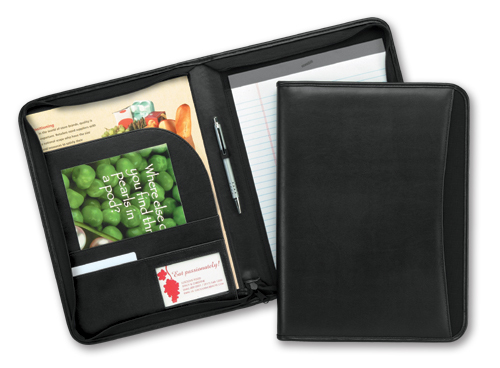 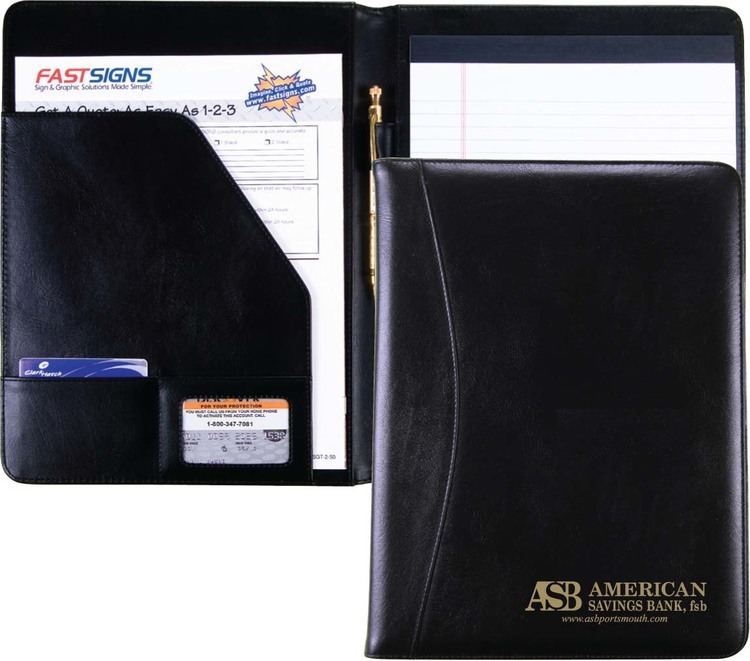 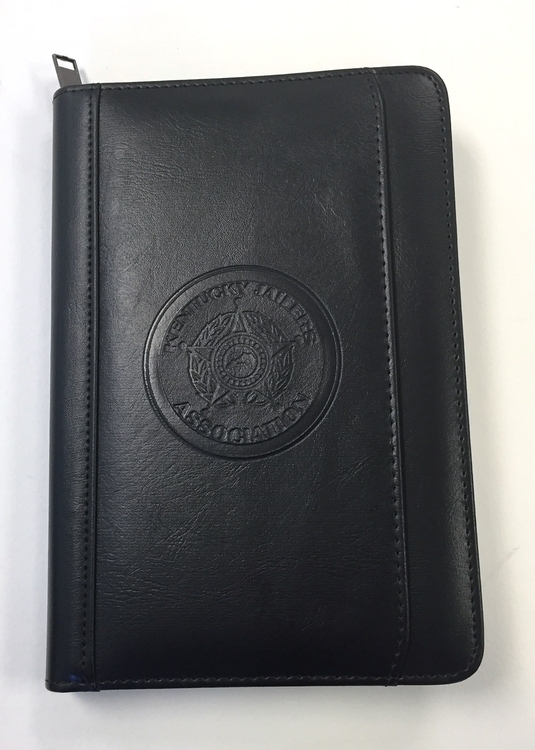 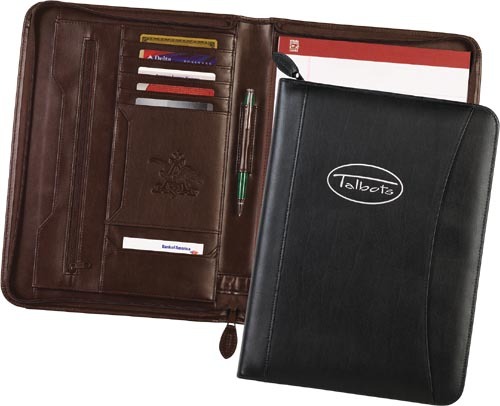 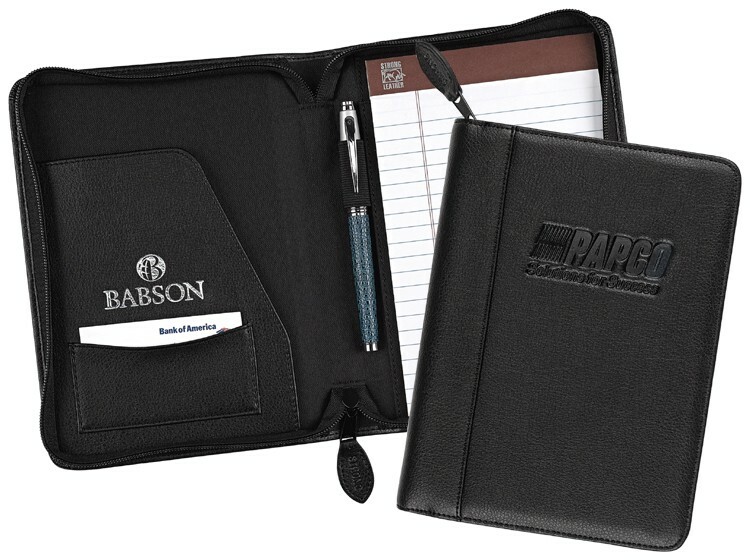 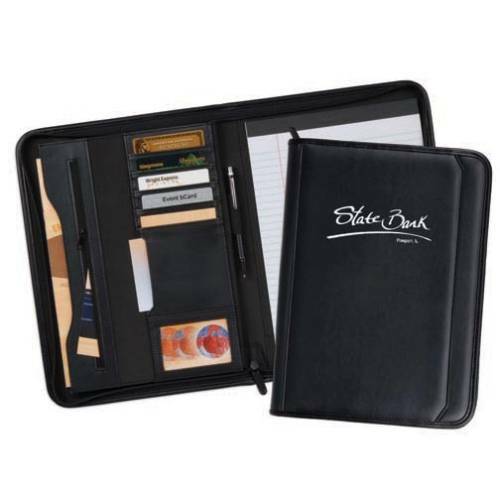 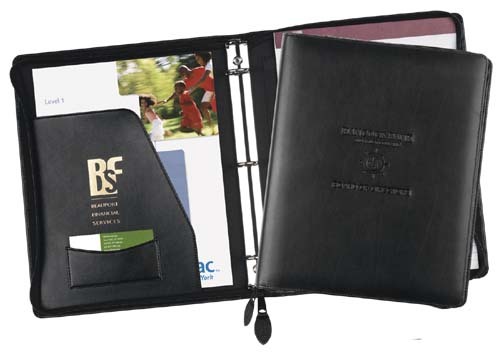 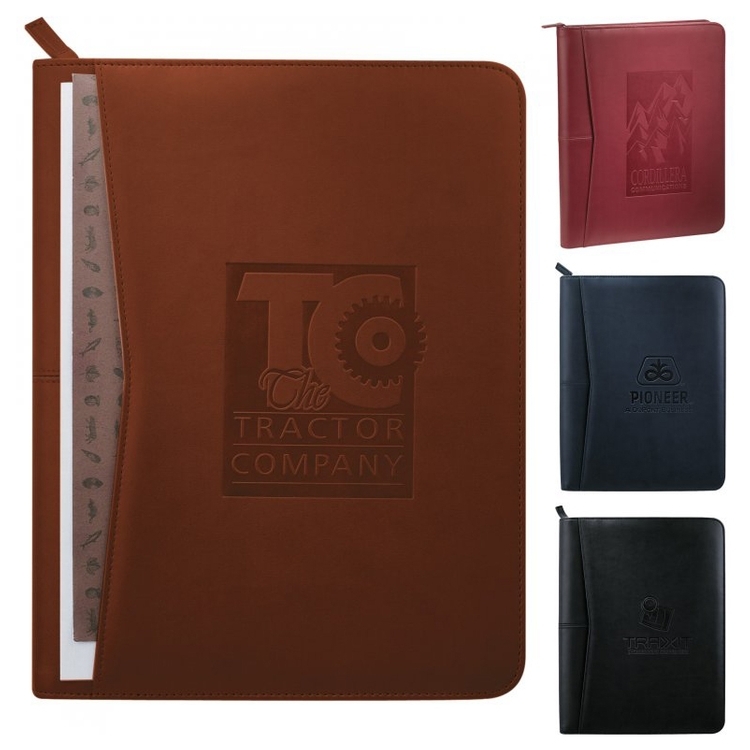 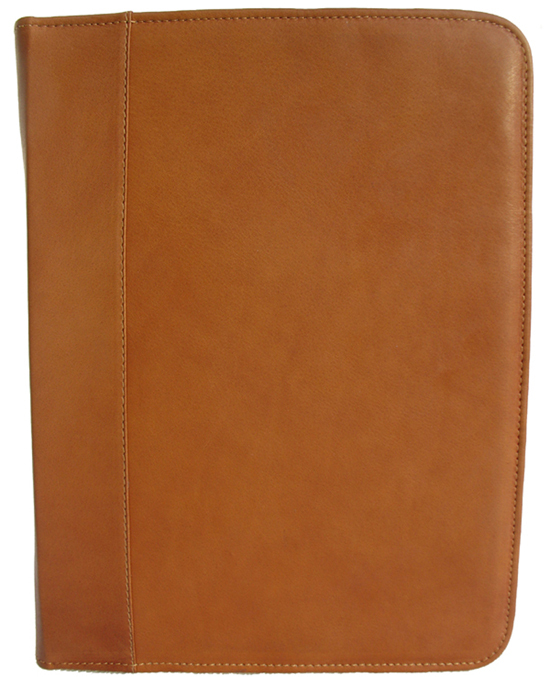 Keep organized in the office or on the go with this finely constructed zippered 1” capacity leather ring binder and portfolio. 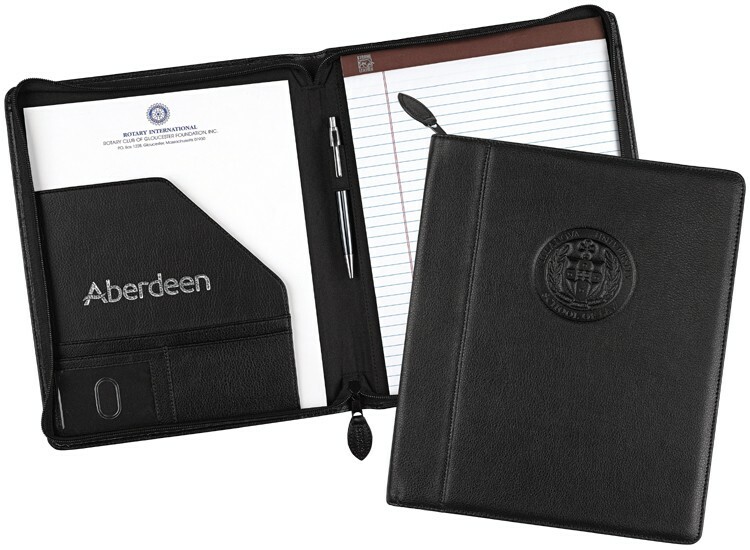 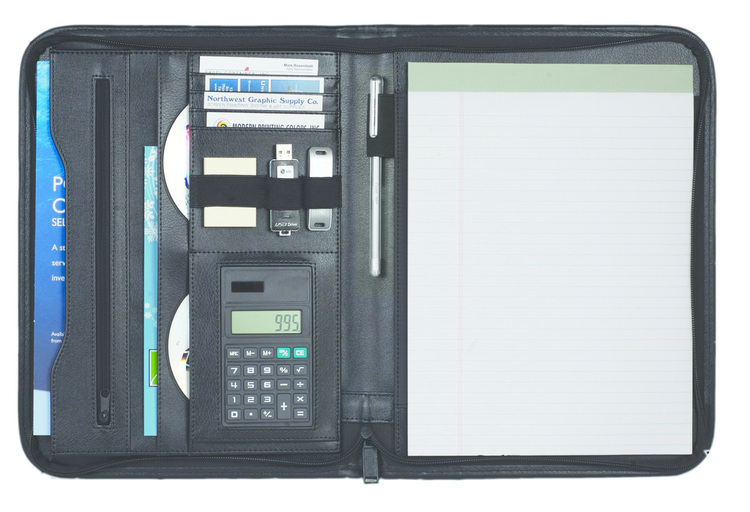 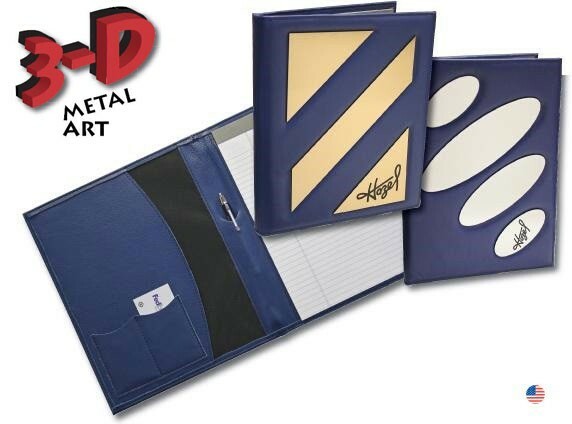 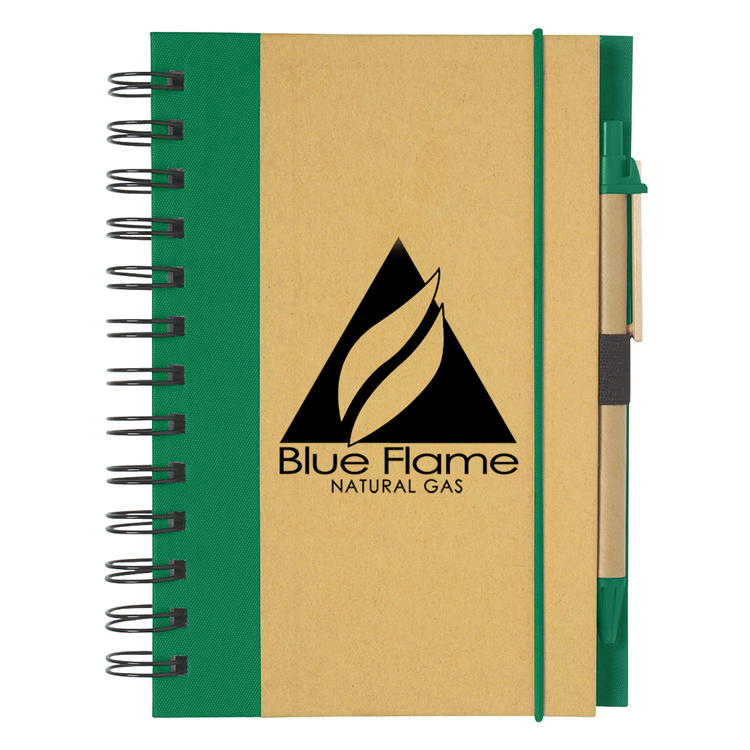 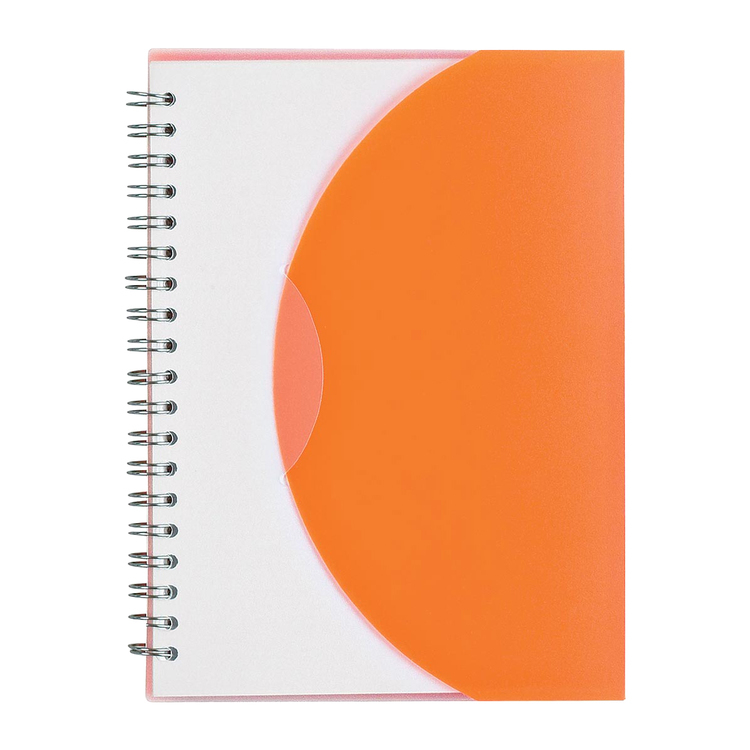 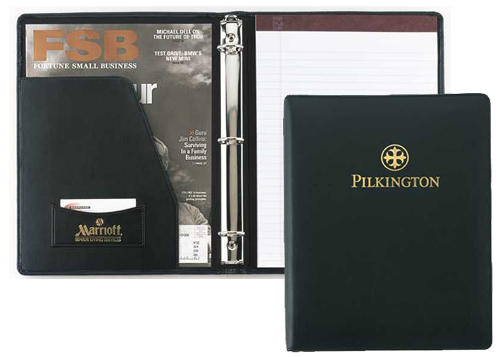 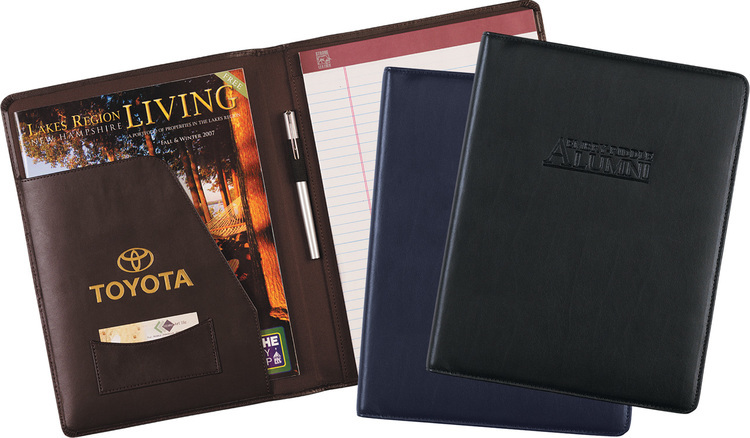 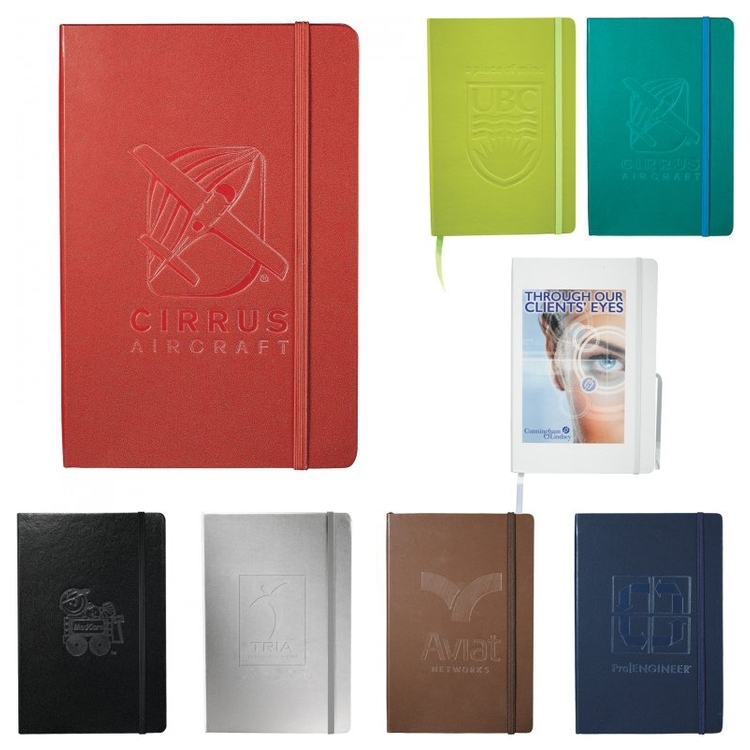 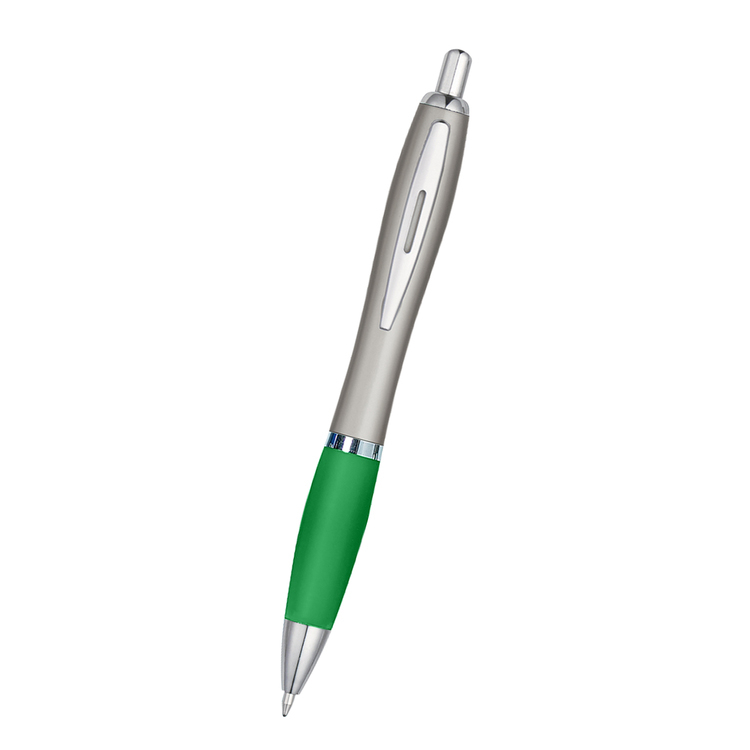 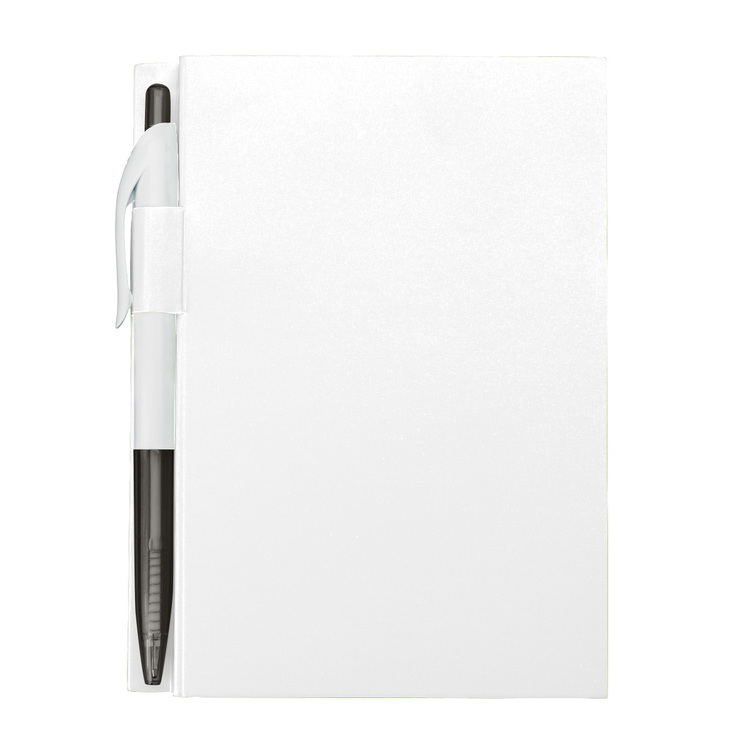 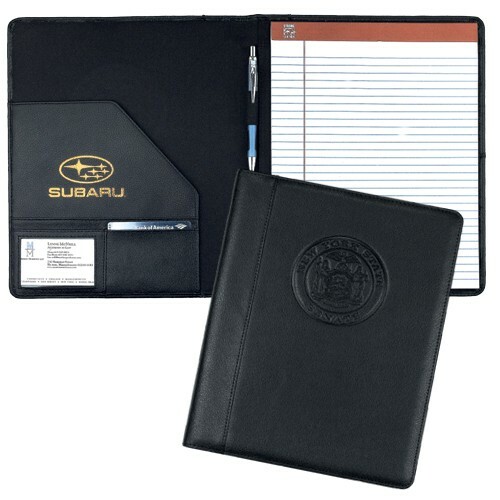 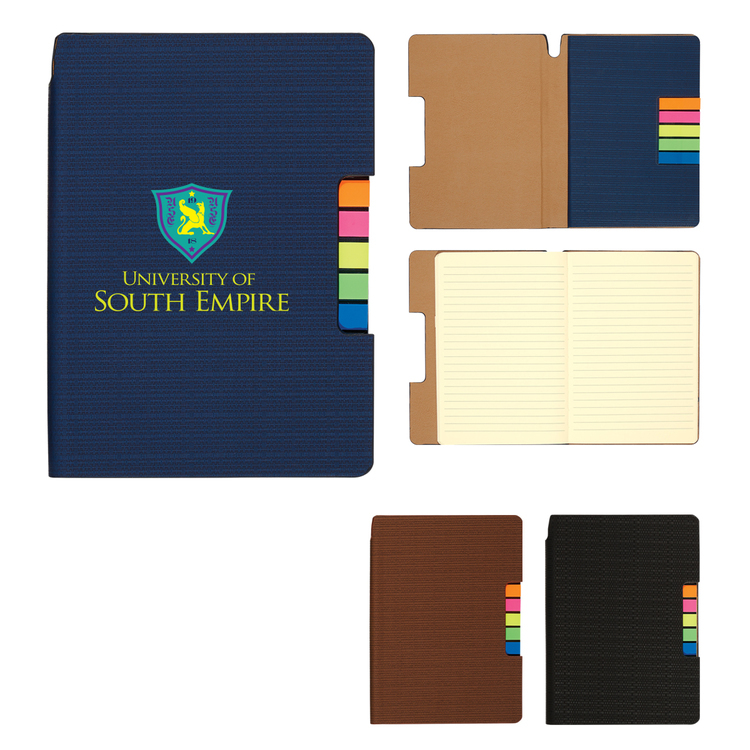 Features include nickel rings, writing pad, zippered closure, and a large inside pocket. 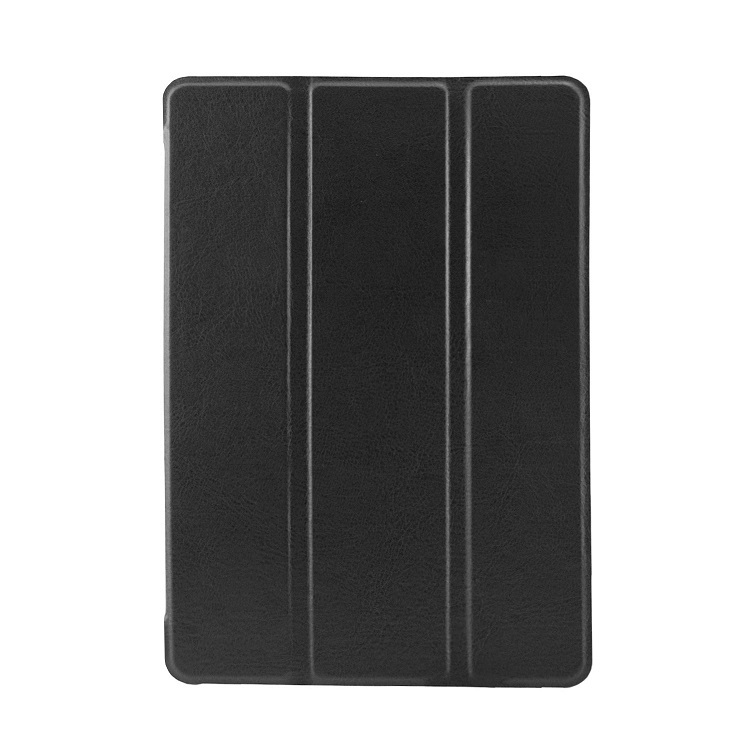 Broaden your brand reach with this iPad Mini 4 3 panel easel case. 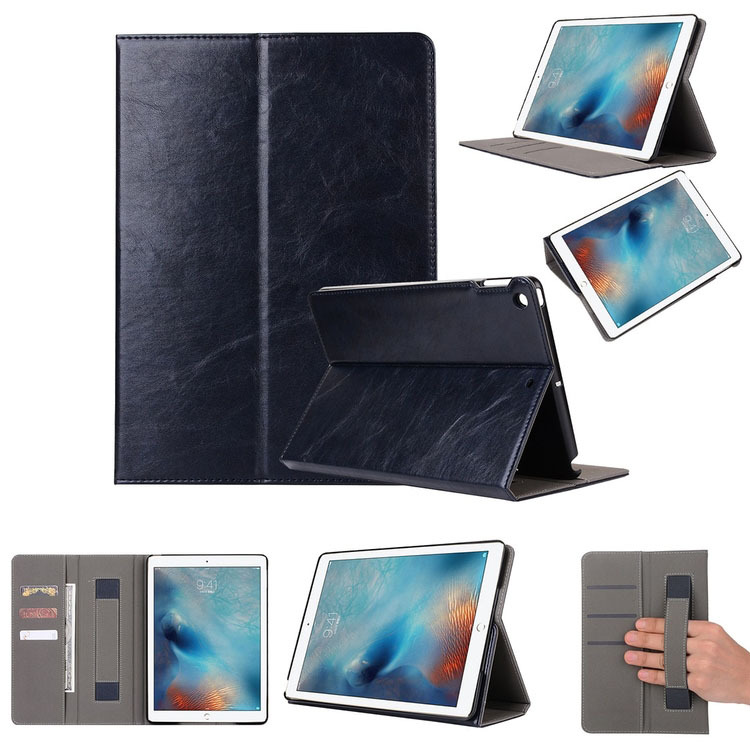 Also fits iPad Mini 5 2019 release. 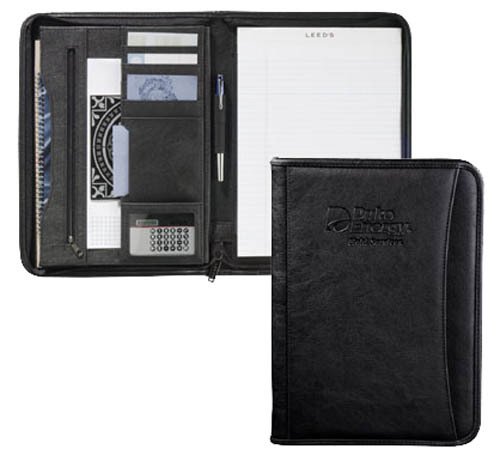 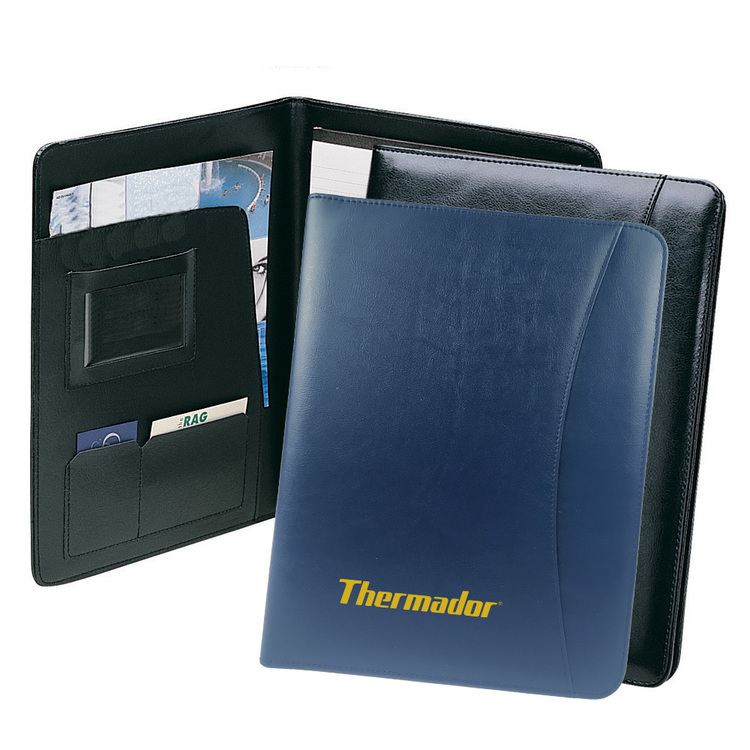 It's made of a synthetic leather and features a 3 panel cover with a solid back. 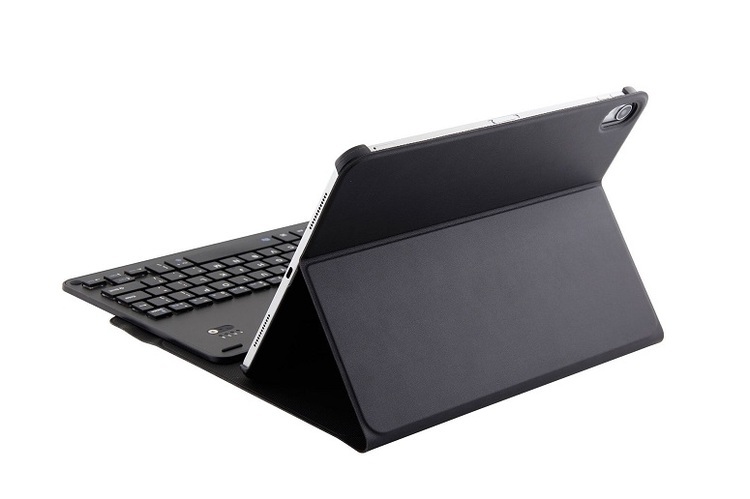 You can sit this up for easy video viewing and use the magnetic sleeper function to optimize battery life. 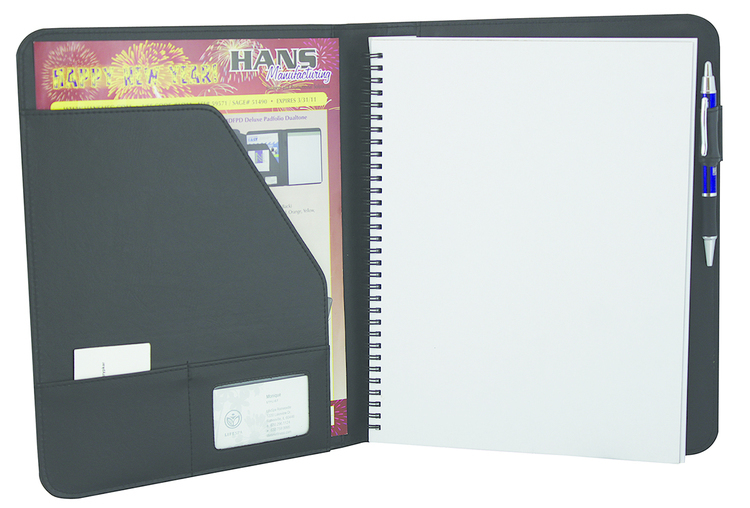 Imprint this with your customer's logo using our debossing or silkscreen method. 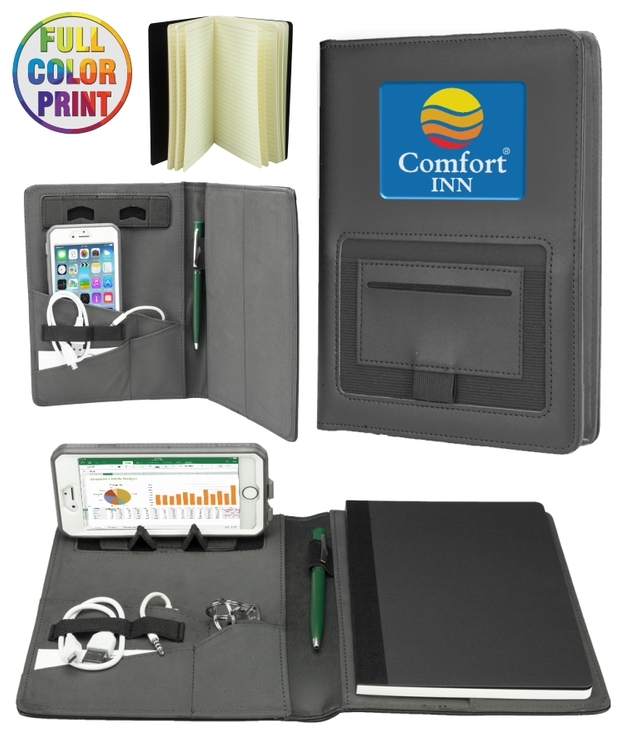 Hand this protective case solution out to clients who love their mobile devices to keep them coming back for more!